Craftsmanship and quality are worth celebrating. With a Clarté Icon, you experience true excellence created by skilled artisans and hagiographers that draw on centuries of artistic and religious tradition. Each beautiful Clarté Icon is made in Greece, often with the intention of being an exact replica of a Byzantine hagiography icon and therefore a significant Greek Orthodox symbol. These precious pieces are plated in silver, while the faces of the saints, the Virgin Mary and Christ have been painted with meticulous detail by hand. With each Icon being dedicated to a particular saint or holy figure, you can choose a presence that best suits your situation. Perfect as Christening gifts or symbolic presents for friends and family, these icons are set in frames of either imitation wood, crystal, or mahogany-look wood for a special way in which to display these pieces. A Clarté Icon is a unique and special union of tradition, spirituality and beauty worth cherishing. 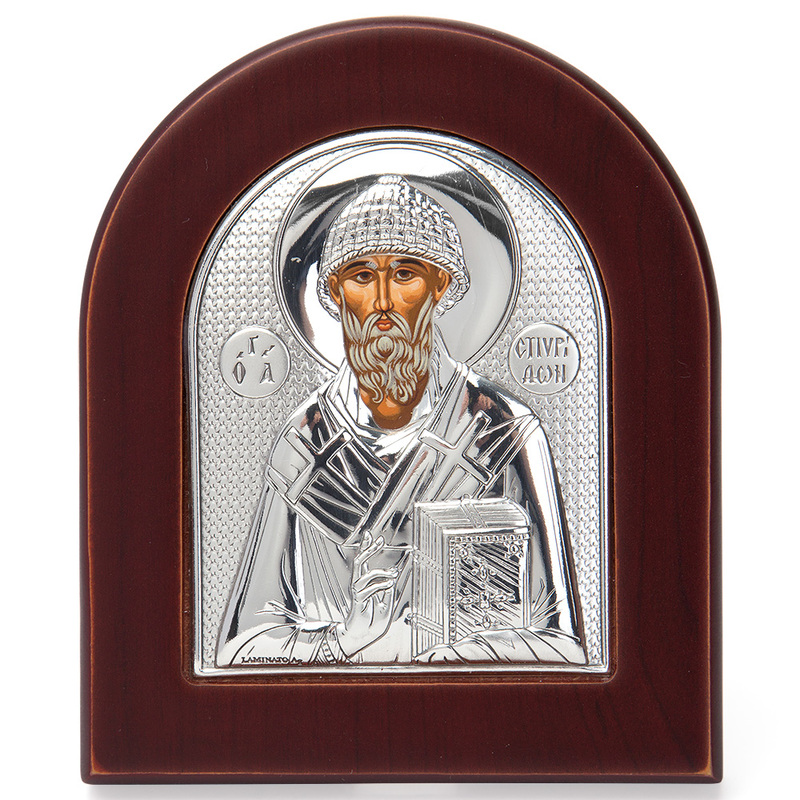 Icon is set into a wooden backing.